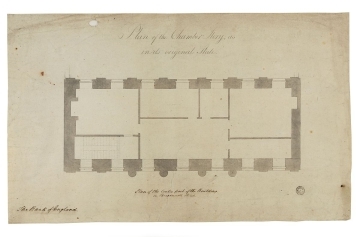 Sampson's original entrance building contained transfer halls flanking a lobby on its first floor and apartments or a library above. 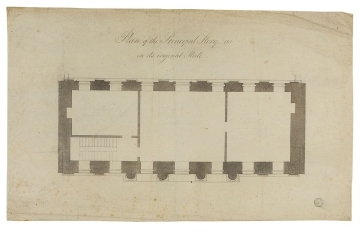 The transfer halls were moved to Taylor's new east wing in 1767, enabling the entrance building to be converted into residences for the Chief Accountant and the Gate Porter. 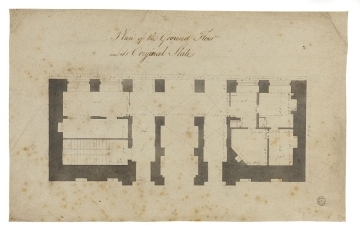 In 1789 Soane surveyed the existing building.